Here at Dog Training Now, we are certified evaluators for the American Kennel Club (AKC) Canine Good Citizen program. This is the first step towards you and your dog becoming a Therapy Dog team! 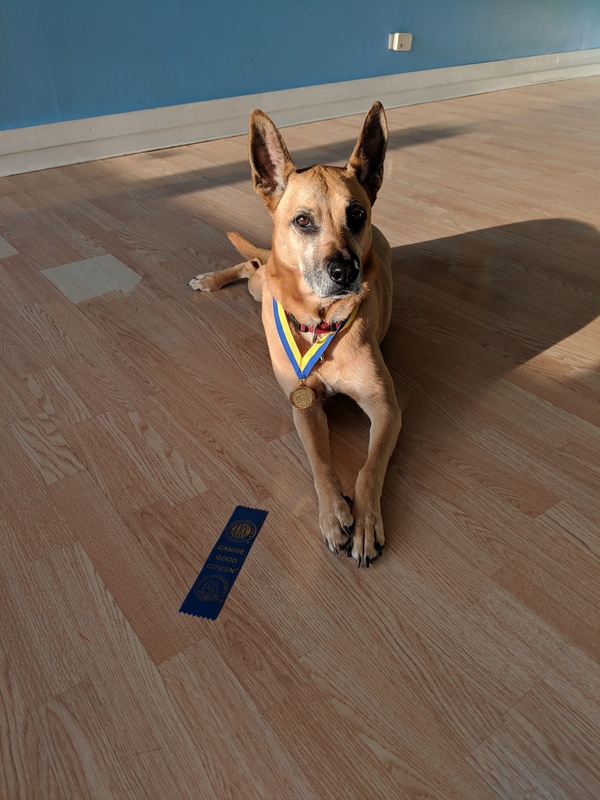 Therapy Dog certification organizations are non-profits, but most require a CGC certification before being eligible for their own evaluation. After signing the Responsible Dog Owners Pledge, owners and their dogs are ready to take the CGC Test. The examination fee is $100, and will come with three attempts to be used on different days. Evaluations should be scheduled in advance with Dog Training Now. Contact us to sign up! This test demonstrates that a dog can be left with a trusted person, if necessary, and will maintain training and good manners. Evaluators are encouraged to say something like, “Would you like me to watch your dog?” and then take hold of the dog’s leash. The owner will go out of sight for three minutes. The dog does not have to stay in position but should not continually bark, whine, or pace unnecessarily, or show anything stronger than mild agitation or nervousness. Evaluators may talk to the dog but should not engage in excessive talking, petting, or management attempts (e.g. “there, there, it’s alright”). Body harnesses may be used in the CGC test. The evaluator should check to make sure the harness is not of a type that completely restricts the dog’s movement such that it could not pull or jump up if it tried. We recognize that special training collars such as head collars and no-jump harnesses may be very useful tools for beginning dog trainers. However, we feel that dogs are ready to take the CGC test at the point at which they are transitioned to equipment that allows the evaluator to see that the dog has been trained.